Our complete reliance on smartphones and other devices is undeniable. But what isn’t immediately apparent is the impact of partnerships forged between the startups and tech giants of the smartphone and device world. Those partnerships influence the fundamental experience of using mobile devices, and so have a profound influence on people’s personal and professional lives. Partnerships like these have been my focus for the past twenty years. They have resulted in embedded software which has shipped on more than a billion mobile devices. The software and services reaching users on those devices range from content and keyboards to collaboration tools, messaging and transportation services. To be clear, I’m not talking about app preloads here, but rather integrations that are so ‘deep,’ that if the code had a bug or malfunction, there was a risk that the handset would not work and potentially cost the OEM concerned billions of dollars. But with that risk comes a considerable upside: a significantly improved user experience (UX) relative to the competition, generations of service revenues, and more handsets sold. Each product shipped through a partnership is a testament to the teamwork between engineers, product managers, designers, marketers, lawyers, data scientists, accountants, business teams, and others, across the large OEM and small tech company alike. And although the process and logistics have grown more efficient over the years, there were never any shortcuts. 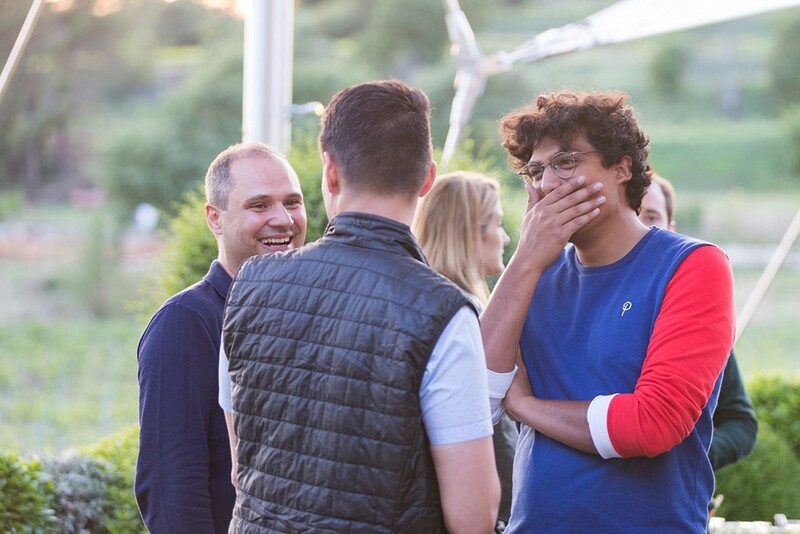 With Alex Algard, CEO and Founder of HIYA and Vincent Nallatamby, CEO and Founder of Tempow at Balderton’s 2018 CEO Collective offsite in France, May 2018. It was precisely because of that hands-on experience of being in multiple tech startups partnering with corporate goliaths that I was blown away with what Tempow’s CEO Vincent Nallatamby and his team have already been able to accomplish … with just seven people. They had managed to embed their software deep in the Bluetooth stack on a global OEM: Motorola. When I met the team, two things stood out to me immediately. First, they were solving a huge, yet unobvious problem, namely that Bluetooth software was becoming too complicated for OEMs to handle. Second, the Tempow team was genuinely exceptional. I realise VCs say that a lot. We’re hardly likely to invest in unexceptional teams. But these guys graduated at the very top of their class at some of the finest engineering institutions in France, including Ecole Polytechnique and 42, the new coding school created by the Xavier Neil in Paris. This has resulted in a gravitational pull for recruiting. Exceptional engineers are attracted by their own breed. I saw this as one of the unfair core advantages Dropbox experienced early on, driven by their association with MIT. It embeds the highest engineering standards in a company’s DNA, which is so valuable when it later comes to scale. Traditionally, the availability of mobile services has typically followed innovation on the network side (faster networks) and in handsets (CPUs). Indeed, when I started in mobile, data revenues equalled SMS revenues. The networks then moved to 3G, and there was a need for use cases to underscore the power of the network — which translated into music and multi-media messaging. The need for use cases to show off the power of the network opened up the doors for partnerships between the large infrastructure behemoths and small service providers. I witnessed this first-hand at Voicesignal, who developed speech-to-text (and vice-versa) technology. At Voicesignal we forged a partnership to embed their software on handsets, pinging the network for voice search results. In 2007 the company was acquired by Nuance, and the technology kept evolving — eventually into what we know today as Siri, Google Voice and Alexa. I have continued to recognise this pattern of partnership impact in the years since Voicesignal. My experience at 3Jam — a popular IP messaging service — saw the product acquired by, and integrated into, Skype. From 3Jam, I moved to Skyhook Wireless, which offered indoor location via triangulation of WiFi signals. This service was essentially the ‘blue dot’ on the map. The first iPhone did not have a GPS chip, so instead integrated Skyhook’s service — another partnership with significant user impact. The experience continued at Dropbox, working with carriers and OEMs, and Uber distributing on mobile. One common factor across all these successful partnerships was offering tangible value to the end-user, as well as contextually smart and timely UX. For example, Ilya Fushman, currently general partner at KPCB, forged a partnership between Microsoft and Dropbox while he was Head of Product at Dropbox and Dropbox for Business. That successful integration of the two services resulted in a deeply embedded and seamless UX for users. Similarly, Neeraj Arora and his team at WhatsApp developed partnerships with mobile carriers across the world, integrating zero rating data for sending messages and photos across borders. Matt Wyndowe and his team at Uber forged deeply integrated partnerships with Google Maps to offer Uber as a service when people were searching for transportation from point A to B.
Hiya, a company we invested in last year, offers contextualisation of incoming and outgoing phone calls. This means if a spammer tries to reach a person, they are automatically blocked. However, if the call is from a bank about, say, fraud on the account the individual is notified in advance and in all likelihood will answer the call. Their global partnership with Samsung and carriers such as AT&T enables this service. Ultimately, strategic partnerships are all about presenting the service, with a completely seamless UX, at the moment when there is high intent. Which brings me back to Tempow. Where Tempow excels is in the way it creates the glue between connected devices. Until now, Apple has arguably been the only OEM to succeed at this. The pairing of AirPod headsets, for example, is magical: all the user has to do is plug the ear pieces into their ears and they’re away. That experience reminds me of Uber’s payment mechanism, triggered by the rider opening the door handle and leaving the car. Apple’s iOS11 also offers a similar ‘wow’ experience — enabling users to effortlessly share their WiFi passwords with nearby friends via a simple prompt. 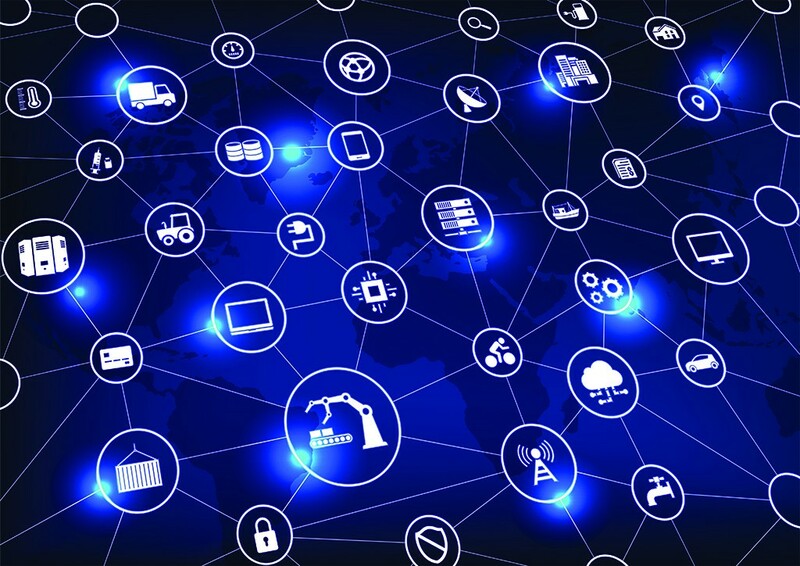 Yet as the ‘Internet of Things’ becomes part of the critical infrastructure of our daily lives — and we connect with ever more services and devices — inter-device connectivity grows more complex. Because OEMs have less in-house knowledge around Bluetooth connectivity, their products and services, and particularly UX, all suffer. There is a significant need on the part of the user to have a seamless integration between disconnected devices, but today that isn’t happening. That’s where Tempow come in. I believe the Tempow team can create the global standard of quality for connecting devices seamlessly. If I have learnt anything from forging partnerships that have resulted in products that ship on a billion devices it is that it takes outstanding engineers, teamwork and a good dose of patience, as well as flawless execution to present the end user with the right service at the right time. The Tempow team has what it takes to ship on the next billion devices, and unleash Bluetooth as a platform for new services — and, in the process, eliminate tangled wires for good.